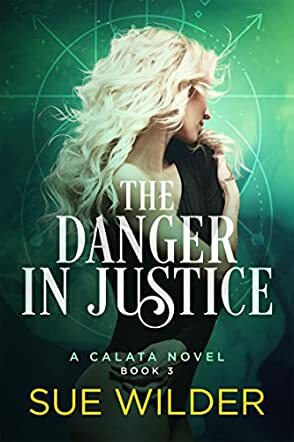 The Danger in Justice: A Calata Novel (Enforcers' Legacy Book 3) by Sue Wilder is an exciting new science fiction novel built on one of my favorite tropes. What’s not to love about immortal aliens that look human and have special powers? I get dizzy thinking of how and when they might have affected human history. I wonder which great historical characters might have been one of them. More importantly, I wonder what they are doing now, and what they could want. These are only some of the questions posed and answered when you read The Danger in Justice. Sue Wilder’s book is full of possibilities, action, internecine warfare, and fun. I loved it. This is a world I could really throw myself into. A world so much more intense than everyday life. Honestly, I loved everything about this book. I haven’t had so much fun reading a book like this since I first picked up I am Number Four. The plot is complex and weaves throughout human history. The locations and setting can be exotic and are described very well. The writing is great and moves the plot along at a crisp pace. But it is the characters that really make this story great in my opinion. I don’t know. Maybe I have a thing for aliens with names so unpronounceable that they are simply known as one, three, six, etc. I also have a thing for overpowering people. I’m pretty sure that’s from growing up reading comics. But trust me. The Danger in Justice is way better than any comic or comic book movie.